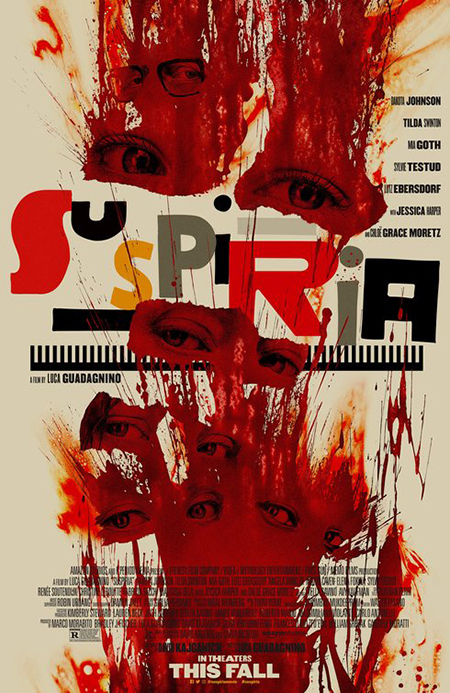 The new Suspiria toggles through three tepid lead characters: 1) Johnson’s new dance recruit, 2) Swinton’s artistic director at the school, and 3) Swinton in old-age makeup as a grieving psychiatrist trying to make sense of his life (yes, “his,” as she plays a man). Two of these characters matter in strict plot terms and only one of them are granted some degree of characterization. Susie is essentially an empty vessel who is extremely passive, going along with whatever she’s told (there is a reason for this but it falls under the category of contrived dues ex machina). There are hints of the connection she has to some occult force at play, but we don’t really see any transformation on her part because she’s so opaque to start with. Madame Blanc is the most interesting character, somewhat by default, but she only becomes that in the last third of the film when her personal feelings for Susie make her doubt how far she’s willing to go to achieve the coven’s goal. It’s the only character with a direct internal conflict that seems to matter to the story. The old man has no reason to be in this movie. 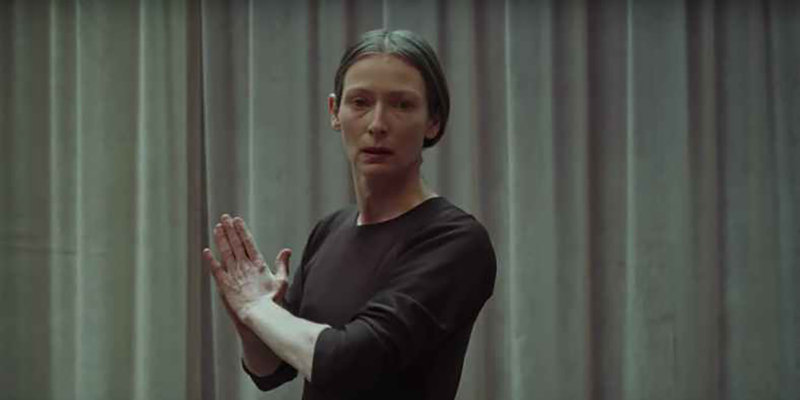 By the end, it feels like the film has found a significant story reason for his inclusion, one that will actually produce some thematic relevance for Swinton also playing this role, but nope. He serves no purpose other than exposition and to hammer home a tangential historical context of generational guilt. There is a nice character moment between two characters in the resolution but by then it’s too little too late. Even this nice moment doesn’t really need to happen. I think the reason the film toggles between these three characters is even it knows you will get bored with them.